Ape Machine will be releasing a new live DVD/LP set ‘Live At Freak Valley’ via Ripple Music on 26th May. The new release was filmed and recorded at the Freak Valley Festival in Germany last year. The set features Ape Machine’s blistering hour-long performance in front of a sold-out festival crowd and serves up proof that the band lives up to their reputation of captivating and commanding live audiences. 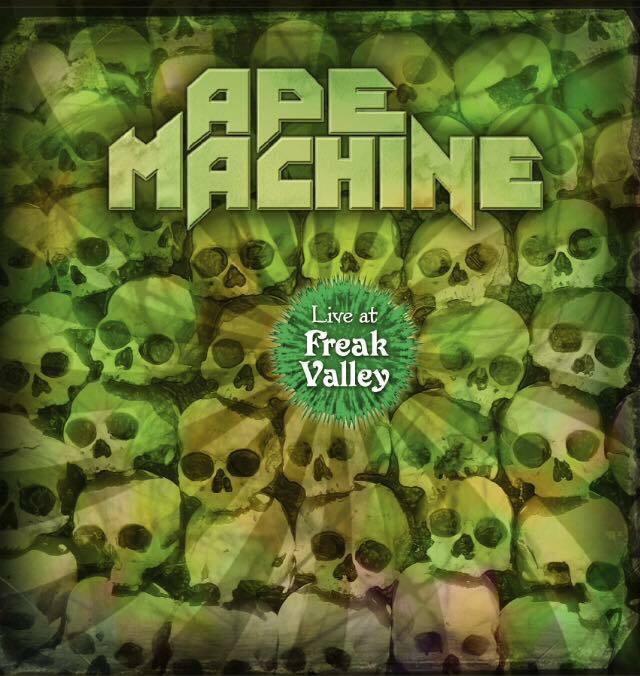 In addition to the upcoming ‘Live at Freak Valley’ release, Ape Machine has released three critically acclaimed full-length albums, two recent releases of which – ‘Mangled By The Machine’ and ‘War To Head’ – were produced by Ikey Owens (Jack White, Mars Volta, Mastodon) who also contributed keyboards to both albums. Last year also found Ape Machine touring extensively, sharing the stage with bands such as Motorhead, Helmet, Orange Goblin, Crobot plus many others. With their ‘Live At Freak Valley’ release, a new album in the pipeline and more planned for later in the year, 2015 promises to be busy year for one of the best new bands on the scene.